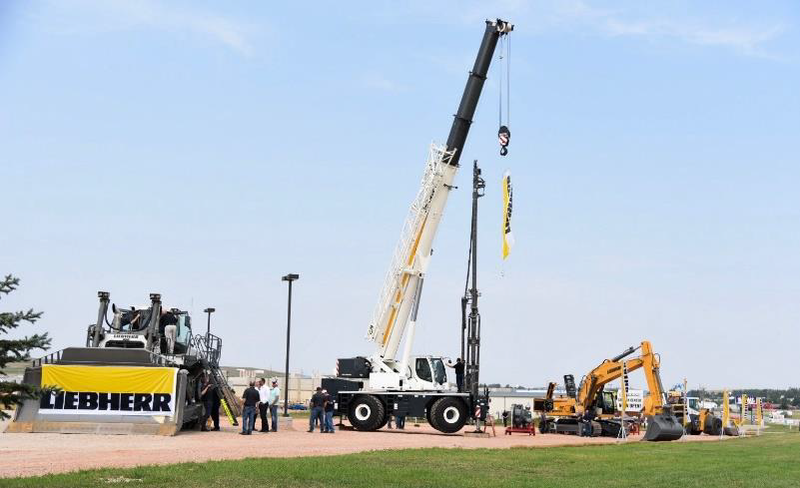 Gillette, Wyoming: 7 August 2018 – Liebherr USA, Co. hosted its first open house at the Gillette, WY facility showcasing products from the mining, crane and construction industries. 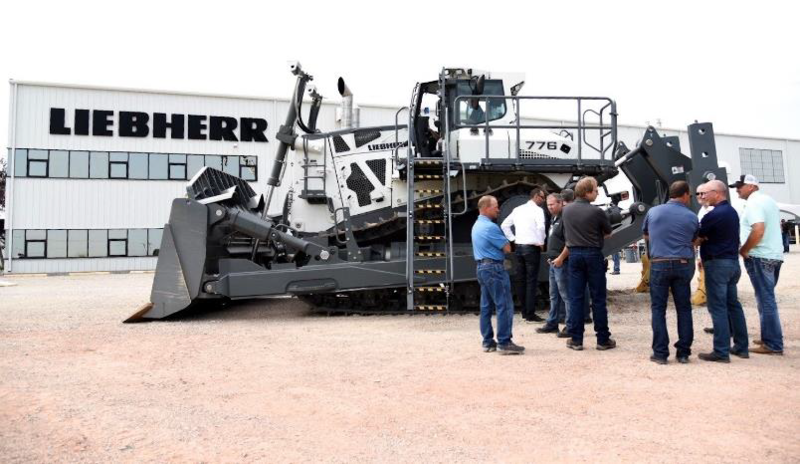 Liebherr USA, Co. successfully held its first open house at the Gillette, WY facility. The focus of the open house was to showcase Liebherr’s overall service capabilities at this location and provide clients with product knowledge across various machine applications in the mining, cranes, and construction industries. Current and potential customers conversed with Liebherr product specialists about the benefits of the machines on display including the LRT 1090 2.1 rough terrain crane, the PR 776 dozer, the L 586 wheel loader, and the R 956 excavator. To ensure a well-versed experience, guests were given guided tours of the facility in order to see first hand how mining equipment parts are serviced and tested for quality. “We were excited to educate customers on the various types of equipment and services that Liebherr USA, Co. offers, and the opportunity to showcase our commitment to remanufacturing and warehousing mining equipment in the USA”, said Shane Kuhlmey, Divisional Director of Mining Equipment Division. Although Liebherr USA, Co. provides sales and service on behalf of nine different divisions: construction, mining, mobile and crawler cranes, tower cranes, concrete technology, foundation equipment, maritime cranes, components and appliances, the open house gave guests a glimpse of what Liebherr in the American market has to offer.